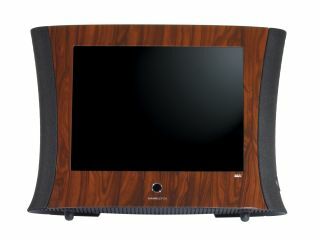 The Hannsvaas is better suited for use as a second TV, rather than as your main living room set. Hannspree , Taiwanese maker of apple and flower-shaped TVs, has now launched a new 15-inch LCD TV finish in a natty wood finish. Designed to look good from any angle, the Hannsvaas's looks have apparently been inspired by that of a cello and presents a 'unique visual symphony' to the world. Yeah, whatever. That's a lamentable reponse time teamed with a poor contrast ratio, a complete absence of widescreen and the Hannsvaas is not HD-ready. Perhaps it's just as well then that it only cost £399 from Amazon .